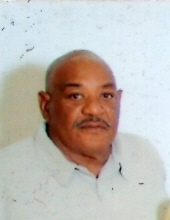 Celebrating the life of Larry D. Jones, Sr.
Obituary for Larry D. Jones, Sr.
“A TIME TO BE BORN” Mr. Larry Donnell Jones, Sr. affectionately known as “Bear” to his friends, was born August 8, 1952 in Raleigh, NC to the late Jesse Jones, Sr. and Marie Chavis Jones. “A TIME TO LEARN” Larry attended Wake County Public Schools and was a graduate of Garner Senior High School Class of 1970. He had a love for all sports. Larry played football for Garner Consolidated and Garner Senior High School. At an early age, he was a member and baptized at Wake Baptist Grove Church in Garner, NC. “A TIME TO LABOR” Larry was employed at Caraleigh Furniture for 26 years and City of Raleigh Public Utilities until his retirement. “A TIME TO LOVE” Larry was a fun-loving person with a big heart. As a result of his generous spirit and big personality, he was loved by many. In his pass time, he LOVED to fish all over Wake and Johnston County. Larry was a proud father and the LOVE for his family will forever remain in our lives and hearts. “A TIME TO MOURN” Larry fought a good fight and finished his race on April 8, 2019. He was preceded in death by his son, Timothy Gregory Davis and brother, Jesse Jones, Jr.
Larry’s life will forever be cherished in the lives of his wife, Vicky Bass Jones; children, Shonta Banks (Christopher), Donna Davis, Donnie Davis (Mary) all of Raleigh, NC, Markita Jones of Wake Forest, NC, and Larry Jones, Jr. of Raleigh, NC; step-children, Angela Davis, Richard Davis-Grier, and Terry Davis; 17 grandchildren; 9 great-grandchildren; sisters, Brenda Jones, Glania J. Jeffries, and Tonya Jones Howard (Kerry) all of Raleigh, NC; uncles, Emmitt Jones (Ella) of Willow Springs, NC, and William M. Jones, Sr. (Frances) of Garner, NC; aunts, Ernestine Spencer, Alice Jones, Novey Jones all of Raleigh, NC, Bernice McMillian of Greensboro, NC, and Helen Chavis of Garner, NC; and a host of devoted nieces, nephews, cousins, family and friends. To send flowers or a remembrance gift to the family of Larry D. Jones, Sr., please visit our Tribute Store. Mr. Jones, Sr. will have a one hour visitation from 12Noon to 1:00PM prior to the funeral service in the chapel. "Email Address" would like to share the life celebration of Larry D. Jones, Sr.. Click on the "link" to go to share a favorite memory or leave a condolence message for the family.